The LP and CD versions come with a download code for the full album + 3 extra exclusive bonus tracks. Strictly limited deluxe LP edition on 180gr vinyl, incl. gatefold & inner sleeves and lyric sheet. This record was never completed. 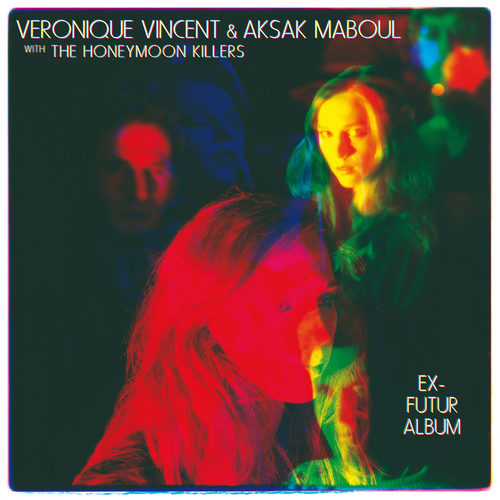 What was originally intended to become the third album by Aksak Maboul (the seminal band formed by Marc Hollander with Congotronics producer Vincent Kenis) had gradually evolved into a strange artefact, closely mingling (iconic Honeymoon Killers chanteuse) Véronique Vincent’s dreamy vocals and deceptively bubbly lyrics with Hollander’s musical ramblings. Electronic pop music with genre-wrecking leanings. But the project (too pop to be experimental? too quirky for early ‘80s pop?) was dropped at some point, and life went on. So here’s that Ex-Future Album, assembled, mixed and/or edited from demos and rough mixes (some of them on cassette tapes), and brought to you in its original glorious unfinished state, with a slight delay of 30 years.